Amity School of Communication is having a delightful spring. Along with busy schedules of March - April which normally rounds on Internship, course coverage, final project submission, examination, viva, placement etc etc etc., the school successfully conducted two workshops on "Digital and Social Media Marketing" on 11 March 2016 and "Basics of Audio Production and Programming" on 13 April 2016. 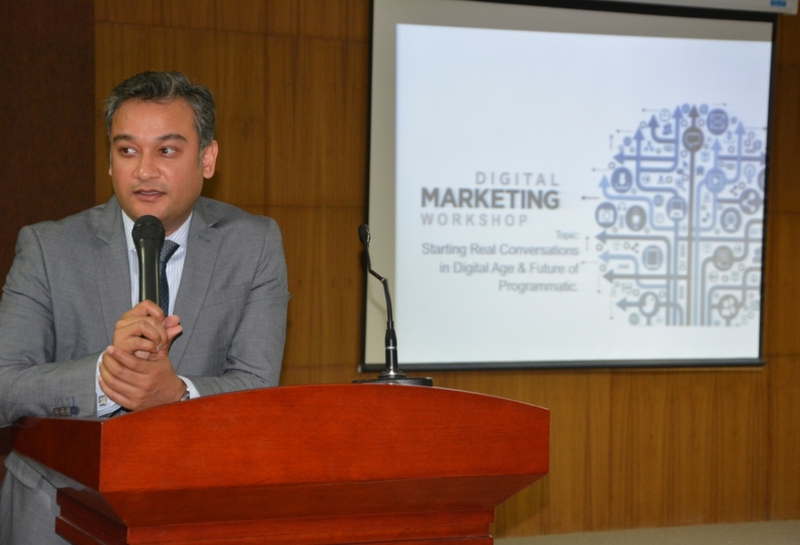 Faisal Haq , AVP , Digital Marketing (operations), North India was the main speaker on Digital and Social Media Marketing workshop. 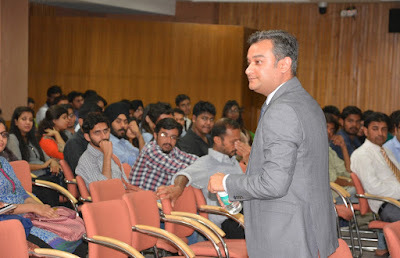 The topic of discussion was on digital and social marketing, this interaction session was delivered by Mr. Faisal Haq who shared his vast knowledge and work experiences among the students and his association with TVF ,YouTube channel and Bigg Boss. He also shared how digital marketing has grown in the present scenario as compared to traditional marketing which has been left behind in these few years by the marketers. As being a marketer, he also discussed why a company uses digital marketing for promotion and creating its image among the people. He said that social marketing is all about content whether in the form of text, visuals, pictures etc., thus creation of content in a creative and unique manner. He also mentioned about various case studies of Flipkart Facebook , Amazon. Mr. Lokesh Gulyani , Senior Project Manager, Louis Berger Consulting, Jaipur was the key speaker for Audio Production workshop. The topic of discussion was on audio production and programming. Mr. Lokesh Gulyani shared his vast knowledge and experiences to the students on radio journalism and how to produce a radio show. He has also focused on current scenario of radio journalism and gave in hand training to students. Thanks for excellent blog. I like the way you are writing. I even have been getting a lot of helpful and informative material in your web site Alamgir Rajab.